The subtitle of this book about pedalling through Lakeland, “The Challenge, The History, The Wildlife, The Scones”, was pretty accurate. 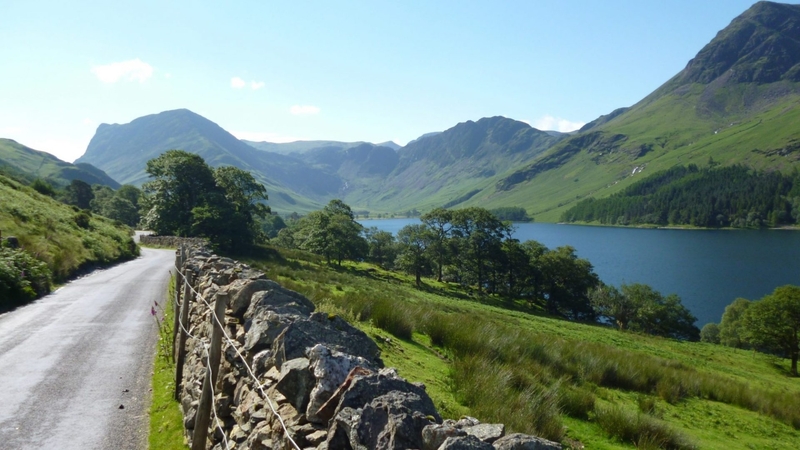 Mike Carden suggested to his son that they ride from Brockhole to Bowness – sounds simple, about three miles you think? Mike had plans for a ‘detour’ which resulted in a 392 mile ride around all the lakes of Lakeland plus the big mountain passes over nine days! A really interesting book to read that I think would appeal to non-cyclists well too. There is lots of history of the places they visited, the people they met and the food they ate. The author has a lovely relaxed style of writing and is very witty. I thoroughly enjoyed the book, it takes cycling the way it should be – enjoy where you are and take time to stop and enjoy – especially to sample the local cake!